Thank you for visiting the site of the Redington Frognal Neighbourhood Forum, referred to as the RedFrog Forum. Neighbourhood Forums are community based groups designated to take forward neighbourhood planning in areas without a parish council. It is the role of the local planning authority to agree who should be the Neighbourhood Forum for the neighbourhood area. RedFrog Neighbourhood Forum is recognised as the Neighbourhood Forum for the Redington Frognal area under Localism Legislation. It is tasked with developing a Neighbourhood Plan which will inform Camden’s decision making on planning applications for the area. The RedFrog Association has been the guiding force in setting up and continuing to support the Forum. We seek a future for the RedFrog area which preserves its green character and continues to make it home to a wide range of family types and ages. Policies have been developed with input from residents, from the initial draft policies survey (March 2014), which led to the Vision and Objectives, followed by informal policies feedback and, most recently, the Regulation 14 consultation. Our vision is a set of principles developed by Redfrog residents to help Camden implement and change its policy according to the needs of our local community. Grants have been secured from the Ministry of Housing and Local Government (MHCLG) to help fund part of the evidence base needed, and specialist consultants employed. We believe that the RedFrog neighbourhood should celebrate its heritage and history and should continue to be a delightful area to live in. 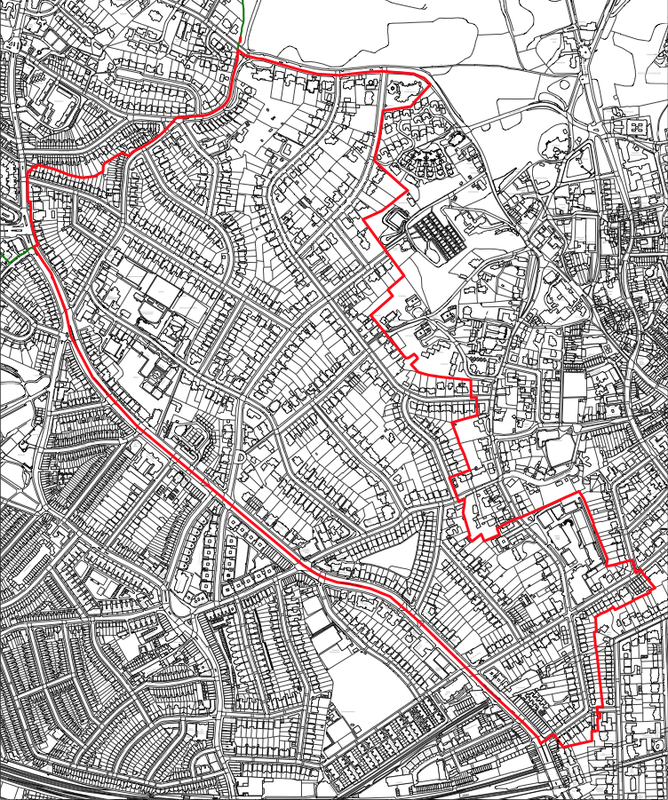 Our Neighbourhood Development Plan is currently being prepared for Examination. The fifth draft was submitted to Camden for review in 2018 and the Regulation 14 public consultation ran from 28 October 2018 until 23 January 2019. All comments have been addressed and the policies are being redrafted by planning consultants, Urban Vision. Following redrafting, the Plan will be submitted to Camden Council for examination. The examiner will then consider whether the Plan meets the Basic Conditions (statutory tests which all neighbourhood plans must meet) and if it should proceed to a local referendum. You can read about each of the Draft Policies here, and information on our Vision & Objectives can be found via the link. A very good level of feedback was received from the consultation. Completed online surveys were submitted by 74 respondents, in addition to letters from Historic England, Thames Water, the GLA, Camden Council and TfL. The Forum will review the comments received and take them into account when preparing a final draft Plan. This version of the Plan will be submitted to Camden Council for examination. The examiner will then consider whether the Plan meets the Basic Conditions (statutory tests which all neighbourhood plans must meet) and if it should proceed to a local referendum. The RedFrog AGM was held Sunday 28th October, at JW3 Theatre, Finchley Road, London NW3 6ET. Minutes of the AGM and the Chairman’s presentation are available here. Frognal in the south; Briardale Gardens, Platt’s Lane (Camden side only), West Heath Drive (between Platt’s Lane and Templewood Avenue) in the north; Templewood Avenue, Redington Road, Frognal (between Frognal Lane and Finchley Road) in the east; and Finchley Road in the west. Copyright © 2019 RedFrog Forum – Created by PM Studio.